By far the most interesting and contemporary film of the year. Ex-Google employee Aneesh Chaganty’s “Searching” erases barriers between technique and the viewer, familiarity replaces mystery in filmmaking, masses are comfortable, no longer intimidated, by accessible technology; ubiquity of the internet and its myriad devices is part of today’s functional environment; Amazon’s effectiveness has increased productivity, eliminating hours in the quest; “search” for anything, and with ease, your fingers do the “walking/shopping”; expunging ignorance, “Google” expediently caters intellectual gratification; the world and its marvels are at our fingertips. So why not a psychological thriller where the tools of titillation are recognizably attainable? It took minutes to adjust to what is pervasively available to anyone who has or has access to a computer; genius flourishes in the intimacy between technology and viewer awareness. 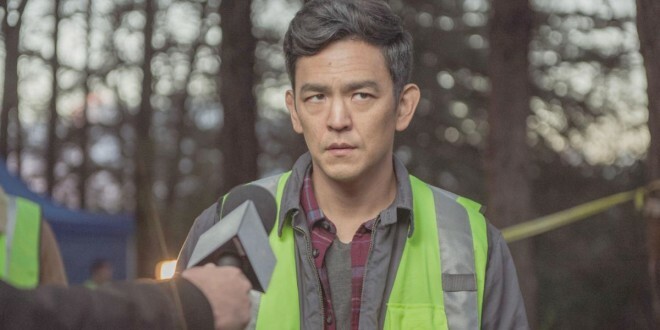 “David Kim” (daunting, John Cho), a widower and single father, is concerned when “Margot” (Michelle La) his sixteen-year-old daughter, does not “reply” to his “texts”; fear is realized when her absence is categorized as a “missing person”; Detective “Rosemary Vick”, (Debra Messing gives a first-class online performance) is “assigned” to Kim’s investigation and the narrative exponentially unfolds, explodes. Neophytes receive a pristine, creative tutorial on “catfishing”, craftily disguising, cloaking oneself in another’s identity, a reprehensible crime flourishing on the internet, lassoing the gullible. Reminiscent of 2014’s “Unfriended” an unsatisfying horror film, using “Skype” to sow predictable havoc; “Searching” has mastered and honed the alchemical wizardly of the twenty-first century, initiating audiences into an untrammeled, unparalleled adventure.